What better way to celebrate Valentine’s Day than by having a tea party with your Mum or Dad! 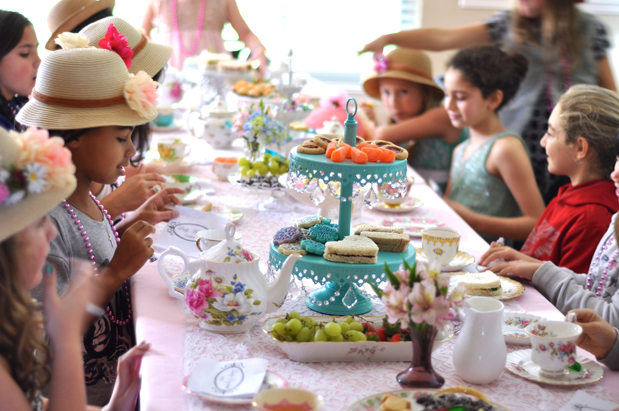 Calling on all Fancy Nancy aficionados (that’s fancy for fans) to join us for an afternoon filled with tea party goodies, meet & greet, makeup and photos with Fancy Nancy herself, playtime in our fabulous tree house playroom and a take home gift for all children. Of course if you like Fancy Nancy, that you means you like dressing up. So feel free to come in your fanciest best and wear all your jewelry and maybe even a hat! All attendees are required to purchase a ticket. Tickets are limited and based on a first-come-first-serve basis. No walk-ins please. Please note: Unfortunately at this time, we are not able to accommodate any dietary restrictions.